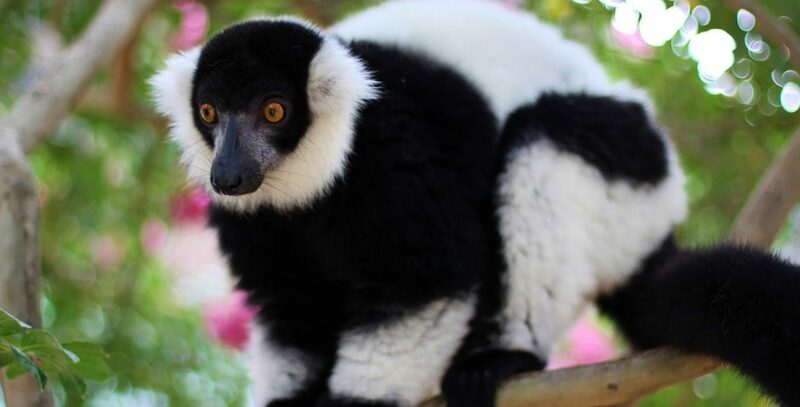 Like all lemurs, the black and white ruffed lemurs inhabit the island of Madagascar and are critically endangered due to habitat loss. 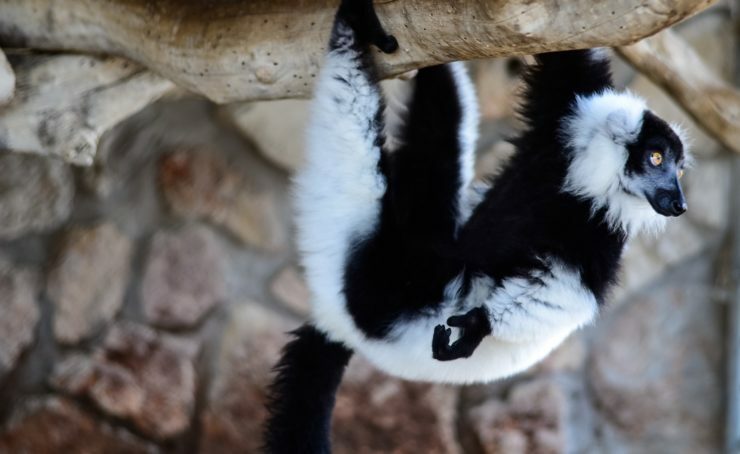 Black-and-white-ruffed lemurs are diurnal, meaning they are most active during the day. 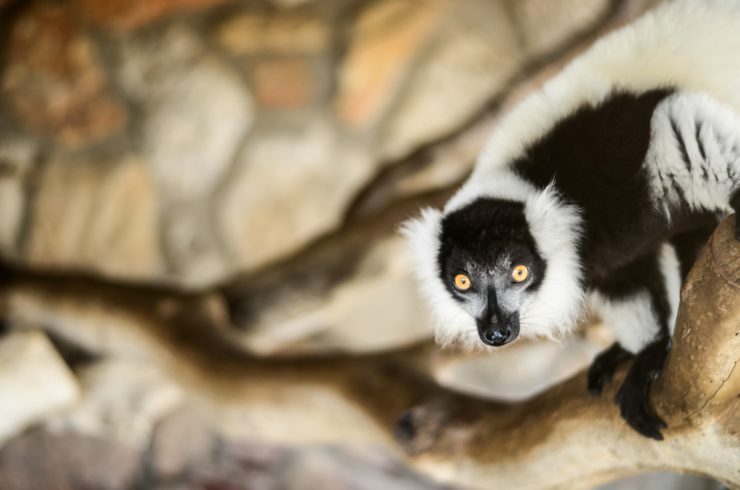 Like their lemur-relatives, they live in social groups made up of many individuals, and the females are in charge! 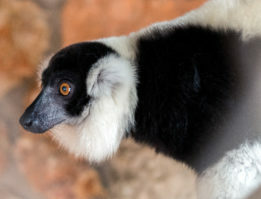 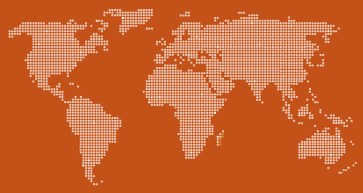 Groups vary in size from two to 16 members, and these members can frequently change groups. 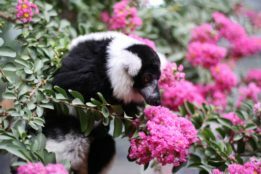 Because black and white lemurs love fruit so much, they are dubbed “frugivores,” a term that means they primarily eat fruit. They also eat edible plants and flowers. The name “lemur” means “ghost” in Latin. The first people to hear their loud calls thought they were ghosts in the forest!